T-minus 18 days until 2019 is upon us! What the?! Where did this year go?? Here we are in December again and I must say it is a month I really love! Not only is it the month of Christmas, but for me it’s a month of family, celebration and connection. It is also the “line in the sand” month. By that I mean it’s the time of year where I reflect on what has been, so I can project into what I want to create over the next 12 months. 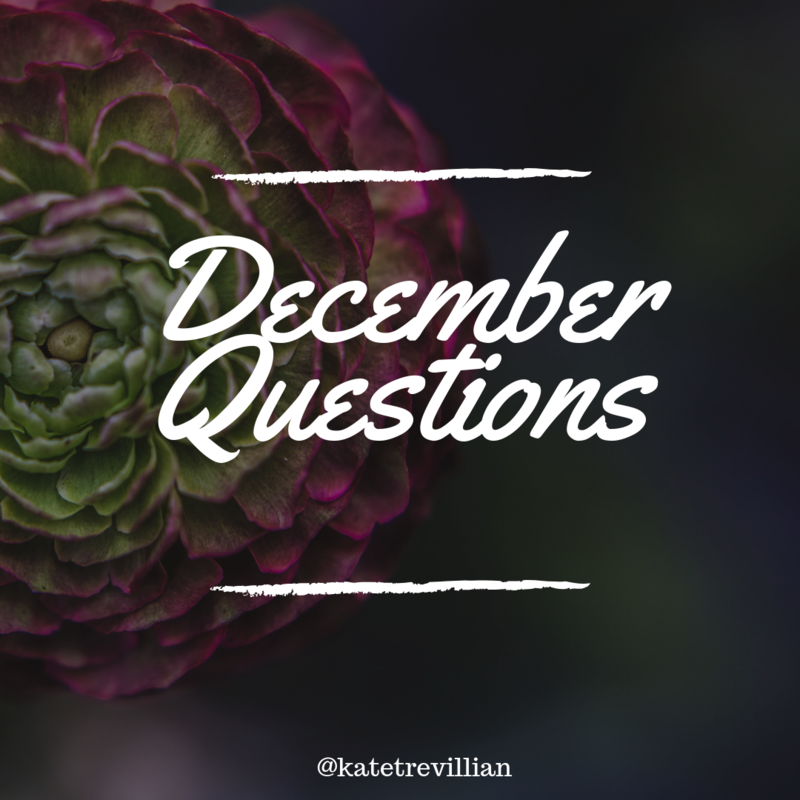 Every December for the last few years, I have taken myself through a series of questions (I call them my December Questions) that assist me in getting maximum value out of the year. I get to grab the key learnings with both hands, celebrate my magic moments, and identify areas of required growth. Reflection is something that holds immense value for our learning yet is something that often slips through the cracks. So, apart from reflecting over the last 12 months, some of these December Questionsare about what I want to create over the coming year. What are my main goals, and even more importantly, who do I need to become to accomplish these goals? Again, this is a question that most of us rarely ask ourselves. So, below I offer to you my December Questions. I wanted to share them with you so that you too can go through the process and see what comes up. My suggestion is to make this process enjoyable. Sit somewhere that inspires you, make a cup of tea, and give yourself an hour or so to just ponder and journal. What did I accomplish over the past 12 months that I am proud of? What were some of my magic moments, wins, and celebrations from this year? What were my three key business/educational learnings? What were my three key personal learnings? How did I limit myself this year, and how can I prevent these limits from holding me back next year? What is my major focus for the next 12 months? What are my top three goals for 2019? What do I need to do to achieve those things? Who do I need to become to achieve those things? What are three things I would like to START doing? What are three things I would like to KEEP doing? What are three things I would like to STOP doing? One of the things I appreciate most about this exercise is that I get to track myself year by year. Tracking ourselves is one of the key ways to create success: we need to know where we are at the start and we need to be able to see how far we have come. We can then make changes accordingly. By answering the same December Questions year after year I have collected some phenomenal data on myself and been able to identify patterns I wasn’t aware of beforehand. I hope 2018 has been a beautiful year for you and I wish you nothing but success for 2019! Next articleBeliefsCourage - I need you now, please come!